I read this article and found it very interesting, thought it might be something for you. The article is called 3 Years Of Modi Govt: Terrorism Claims More Lives In J&K, Situation Mixed in North-East and is located at https://archive.indiaspend.com/cover-story/3-years-of-modi-govt-terrorism-claims-more-lives-in-jk-situation-mixed-in-north-east-78641. 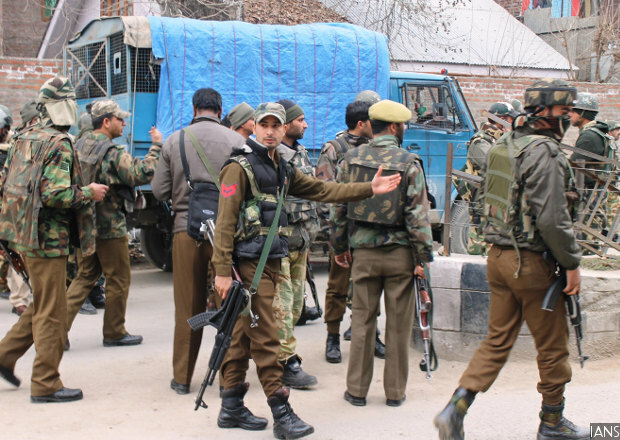 Security heightened after a terrorist attack in Pulwama town of Jammu and Kashmir (J&K) in March 2014. The period under Bharatiya Janata Party rule has witnessed 42% more terrorism-related deaths in J&K–among civilians, security personnel and terrorists–compared with the last three years of the second term of the Congress-led United Progressive Alliance. There have been 42% more terrorism-related deaths in Jammu and Kashmir (J&K) since the Narendra Modi-led Bharatiya Janata Party government (BJP) came to power in May 2014, compared with the last three years of the second term of the Congress-led United Progressive Alliance (UPA-II). The number of security personnel killed in terrorist violence has increased 72% from 111 in the last three years of UPA-II to 191 in the BJP’s first three years, an IndiaSpend analysis of data compiled by the South Asia Terrorism Portal (SATP), run by New Delhi-based non-profit Institute for Conflict Management, shows. The SATP compiles data on fatalities from terrorism from media reports. The data are provisional and compiled as on May 24, 2017. As the BJP government completes three years in office this week, IndiaSpend is analysing five of its key electoral promises–on employment, Swachh Bharat, roads, access to electricity and terrorism. In the concluding part today, we examine the BJP government’s performance on tackling terrorism. The BJP won the 2014 Lok Sabha elections on May 16, 2014, and Narendra Modi was sworn in as India’s Prime Minister on May 26, 2014. This analysis takes into account the roughly 36-month period from June 1, 2014, to May 21, 2017, during which the BJP has been in power, and the last three years of the UPA-II government from June 1, 2011, to May 31, 2014. The BJP had vowed to adopt a “zero tolerance” policy on terrorism in its election manifesto released on April 7, 2014. The period under BJP rule has witnessed 42% more terrorism-related deaths in J&K–among civilians, security personnel and terrorists–compared with the last three years of UPA-II. Note: *Data for 2017 up until May 21. One year is counted from June 1 until May 31 of the subsequent year. The number of security personnel killed in terrorist violence in the state has increased 72%–from 111 in the last three years of UPA-II to 191 in the BJP’s first three years. The number of civilian deaths in J&K has also increased by 37%, while terrorist deaths have risen 32%. Most of the terrorism-related deaths have taken place over the past year, especially after July 8, 2016, when the security forces gunned down terrorist leader Burhan Wani. His death led to violent protests, several months of curfew and an overall deterioration in the state’s security situation, IndiaSpend reported on December 16, 2016. The BJP’s third year witnessed 293 terrorism-related deaths in J&K, 53% more than the 191 recorded during the second year of its term. This period saw a corresponding increase of 61% in the number of security personnel killed–98 killed during the BJP’s third year, including the 18 soldiers killed in a terrorist attack on an army garrison in the Kashmir town of Uri on September 18, 2016. On September 19, 2016, India responded to the Uri attack by mounting surgical strikes on terrorist bases in Pakistan, which it blamed for the attacks. The total number of deaths from terrorist violence in the north-east of the country has declined by 12% to 765 during the first three years of the BJP, as compared with 874 during the UPA-II’s last three years. The data indicate an overall improvement in the security situation. The region has, however, become more unsafe for India’s security forces, who recorded 62% more casualties among their ranks–89 under the BJP as against 55 under UPA-II. Civilian deaths have declined by 15% to 287 under the BJP’s rule while terrorist deaths in security operations have gone down by 19% to 389. “Organized militancy in the region is on the decline” in the north-east, home minister Rajnath Singh noted at a northeast review meeting on May 16, 2016. Singh said the central government’s initiatives to boost infrastructure in the region and increase security cooperation with neighbouring countries have helped improve the security situation. The total number of deaths due to Maoist terrorism across India declined by 9% to 1,016 under the BJP, from 1,112 in the UPA-II’s last three years. Deaths of security personnel have decreased by 43% under the BJP to 216, as compared with 380 under UPA-II. Civilian deaths have also declined 27% to 328 while the deaths of Maoists in security operations have increased 34% to 472. However, overall deaths from Maoist violence have increased 60% from 259 in 2014-15 to 414 in 2016-17. The April 24, 2017, ambush by Maoists that killed 26 Central Reserve Paramilitary Force (CRPF) jawans in Chhattisgarh’s Sukma district made 2017 the deadliest year for Indian security forces in the past seven years, IndiaSpend reported on April 24, 2017. Series concluded. You can read the first part here, the second part here, the third part here and the fourth part here.